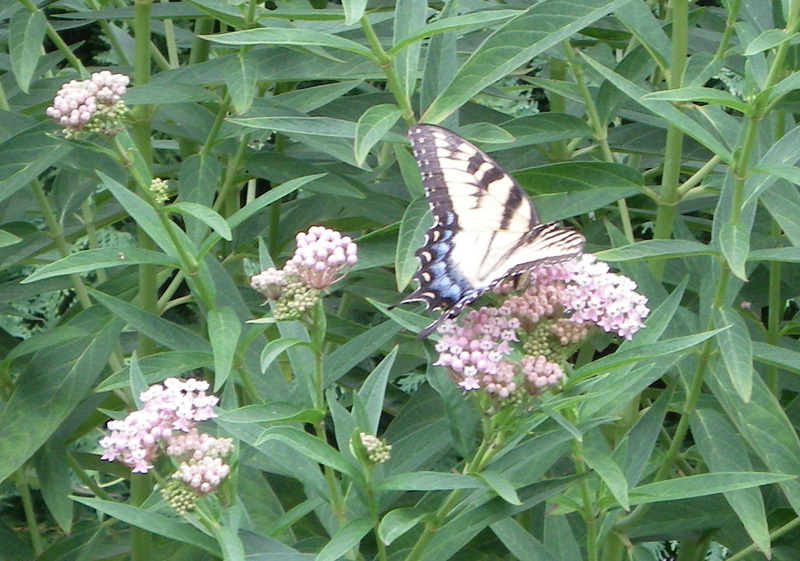 We usually have monarchs on our milkweed plants in the back. However, lately I had been seeing a more yellowish butterfly fluttering around. The other day I finally walked out with camera to try and get a photo. Luckily, I got a decent photo. It is a Eastern Tiger Swallowtail (after much searching, I found that one out) and supposedly a female.